The end of 2nd grade has come for our girls. A little early! It's time to go to China and adopt Joy and begin our summer bonding as a family of 7. The girls worked so hard in their studies this year and I am so proud of their efforts. We like to find a small way to celebrate each year. Dale brought home cupcakes and M&M's to celebrate. 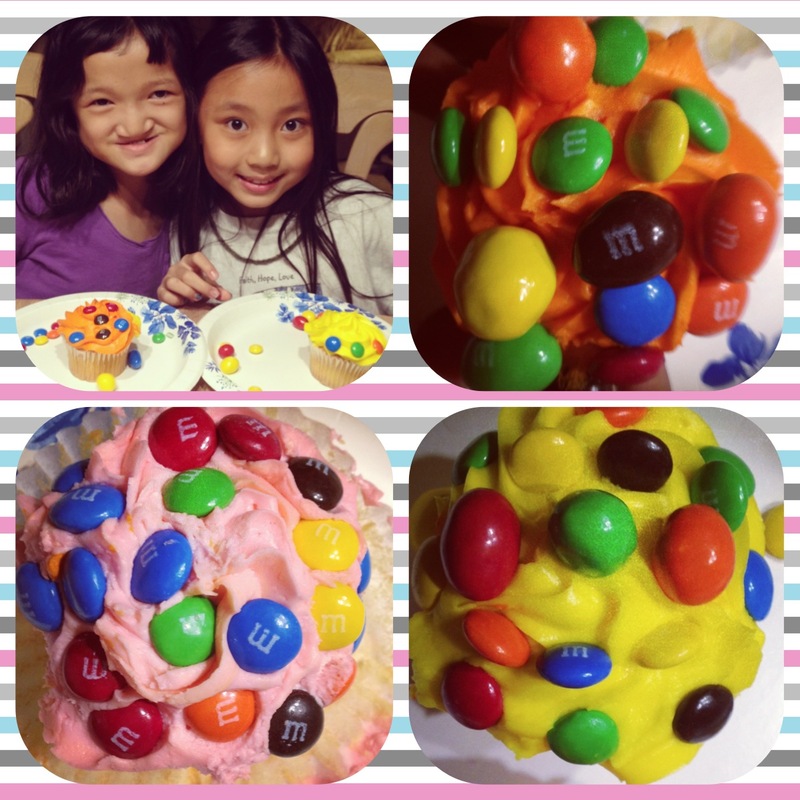 The kids decided to decorate their cupcakes with the candies. Autumn was awarded "The bigestest overcomer" this year for her efforts in reading and writing. Kya was awarded "the most math work completed" this year for finishing 1 1/2 years of math in 1 school year. Lily & Aaron will officially be in Kindergarten in the next school year. And, I will suddenly have 5 school-aged children!